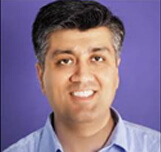 Mr. Sameer Mehta, a marketing professional for over 17 years, has specialized knowledge and experience in all the core areas of Below the Line such as experiential marketing, Trade Marketing, Brand & Product Promotions, Retail Merchandising, Event Management, Corporate Seminar, Response Management and Database Management. Sameer is the founder member of the Trade Marketing Unit at DDBMudra Group and has been instrumental in setting up the Multiplier, and now heads Tracylocke India, A DDBMudra Group venture specializing in Shopper Marketing. In his spare time, Sameer enjoys traveling, biking, shooting, reading, and above all provide all support to Udayan Care in database development, management and fund raising.